This week the strategy has suffered a strong drawdown. It's been a long time since we have suffered it, but that doesn't mean we were free of its arrival. Without changing the usual operation, there has been one of the worst scenarios that could occur: several simultaneous trades on Tuesday and a rapid movement against all of them. On Wednesday, after a slight initial recovery, there was a new sudden movement that increased weekly losses. There was no relevant news announced at the time of trading, but the price movement was so fast that some of the trades did not have time to implement emergency intermediate adjustments before the final stop jumped. Fortunately, this is not a common situation. We are sorry for the stops that have occurred on some of the investors. However, the fall also provides a level of buying away from highs that can be interesting. Trading will remain unchanged for now. Based on its previous evolution, there is no reason why it should not have a similar development than the last few months. The only uncertainty is that it could be a big change in the markets. If this is the situation, adjustments will be announced. 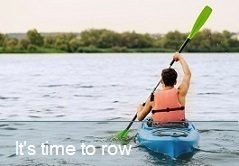 I think that, with this kind of markets, we unfortunately have to row upstream habitually. Volatility continues in the foreign exchange market, in a complicated week in which the Federal Reserve is expected to raise interest rates to 2.25%. In the meantime, some adjustments are being made, in particular to avoid operations whose result could exceed the proposed risk limit. 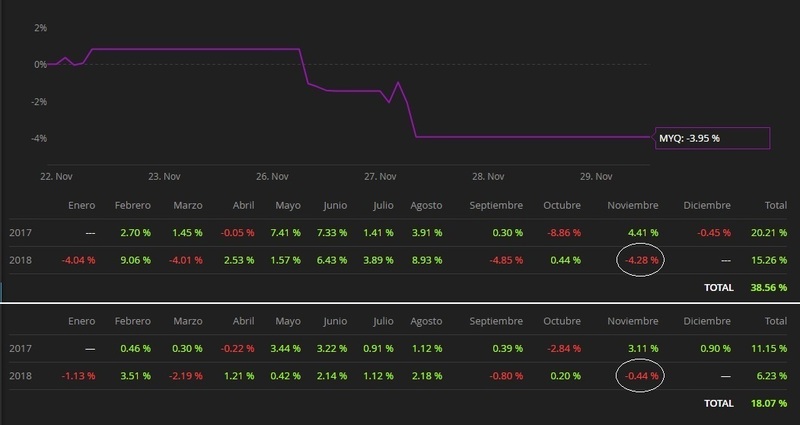 Real trading will continue on Monday, the first day of October. I was just reviewing my Darwins, and it was re-assuring to see plenty of updates in this thread at a tough time like this. Good Job ! Logically, we are committed to returning to consistent profitability, as was achieved in the months from early April to mid-September. We hope that the market will be favourable to this strategy. We have had to adjust the risk a lot, trying to avoid significant new drawdowns. This has consequences: On the one hand, the recovery will be slow because the size of the trades is very small. On the other hand, VaR has dropped substantially so there could be a lot of divergence between the results of the strategy and those of Darwin. One only has to compare the results of both in the month of September. Aversion to loss: Framed in white, the last phase of the lowering of the risk assumed in the operations appears. Risk stability: The lowering of risk means that VaR does not stop decreasing. 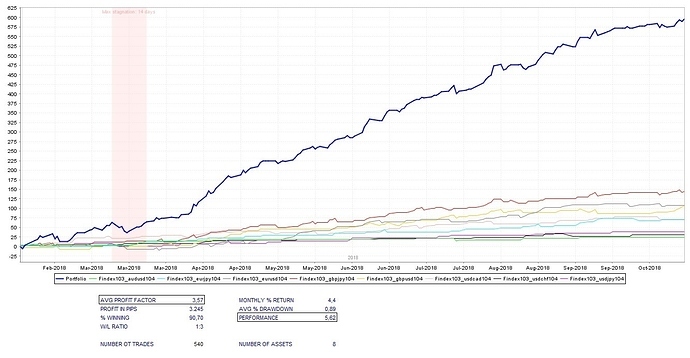 During the green frame phase, VaR stabilizes, although this is where the 'last drawdown' takes place. Return / Risk: The decline in VaR leads to a significant divergence between Darwin and Strategy results. In fact, the 'last drawdown' is accused in Darwin, while in the Strategy it is hardly noticeable. To avoid this dangerous lag, it is necessary to make the VaR tend to approach 10% and then stabilize. 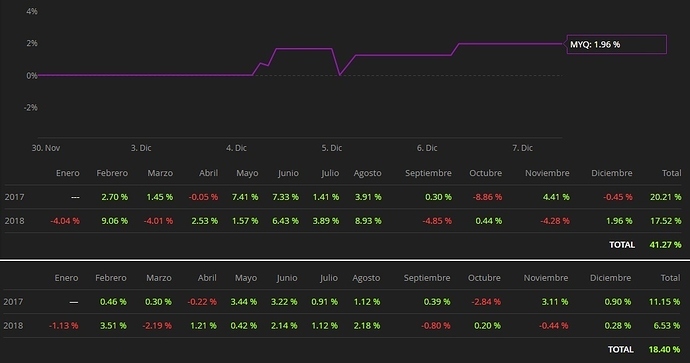 Consistency of returns: The objective remains to maintain the same consistency in the results. Risk Adjustments: The objective remains to operate within very prudent margins, avoiding the risk manager having to act out of excess leverage. Until now, an attempt has been made to raise VaR by increasing leverage, by decreasing the capital in the account and maintaining the same size of operations. The measure has not been sufficient. It is now necessary to slightly increase the size and frequency of trades again, but try to do so without putting the investor at greater risk. Statistical results indicate that the corrective action should focus on three actions: Avoid adding new trades to the position, so as not to put at risk what has already been won. Trailing stop to breakeven, to secure the positions. Make positive partial exits, to collect profits as soon as possible, and negative partial exits, to avoid strong drawdowns. The implementation of the new measure will take place in November. One of the key skills that every trader must have is the discipline to follow the plan. When things go wrong and markets don't move as you expect, it's normal to think about abandoning the initial plan to follow pure instinct, but this is a mistake. In fact, it is just at this key moment when the trading plan becomes more crucial than ever. Being able to recognize when you're wrong is what differentiates winning traders from losers. If the price action is indicating that your trading decisions are wrong, you need to be brave enough to throw in the towel and close the position at a loss - before it gets even worse. All traders have traded at a loss at one time or another, so those who are unable to recognize their own mistakes may eventually lose much more. In order to be a successful trader, it is necessary to know how to find profitable opportunities at the precise moment they appear, so a trader must not only discover favourable trades but also act quickly on them. However, if pulling the trigger on a trade is a problem, then it will be very difficult to make money. It is usually very strange that a profitable trade in the forex market is held for a long period of time. This problem is solved by trading with robots that do not hesitate to execute the programmed actions. As indicated several days ago, the size of the positions has been slightly increased and the following measures have been applied: avoid adding new trades and trailing stop to breakeven. Partial exits were cancelled, as the algorithms calculated a lower risk with them. Now the total of the position is maintained until the end, which benefits the rise in VaR. The attached graphs show how an increase in risk in LA leads to a slight reaction to an increase in VaR. 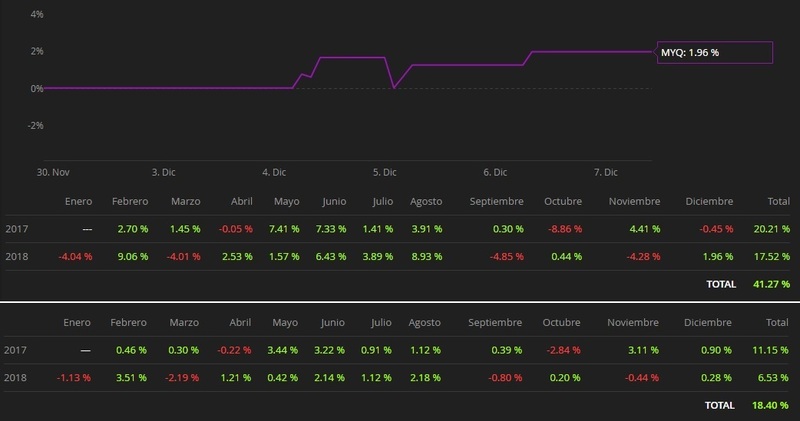 According to Darwinex's indications, in December the account balance will begin to rise and the size of the positions will increase proportionally. Following the suggestions of investors, we expose the backtest result of the last optimization process of the Findex103 strategy. 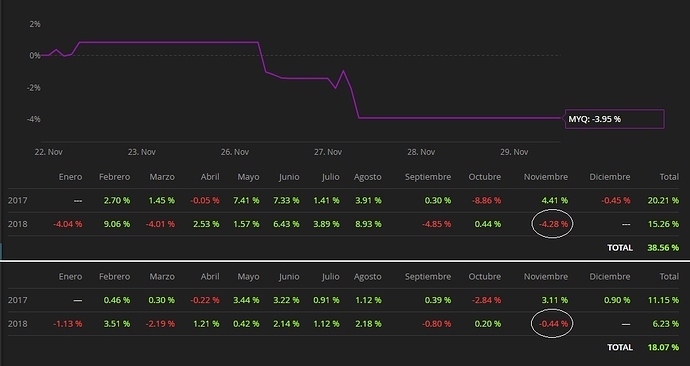 Each month there is a new optimization of only four parameters and with historical data of the last nine months. To become a successful operator requires a great deal of patience. One has to be patient enough to wait for the perfect moment. This means being able to maintain a cool attitude. In addition, you must also have enough patience to invest years and years of work, which are essential to being a good operator. Think about it for a moment. Success is enjoyable and we enjoy it but, once it has arrived, we quickly forget it and want more. However, mistakes are not so easy to forget. In fact, the failures must be the ones that help us to keep progressing. This is hard for beginner traders to understand. No system will ever work well. 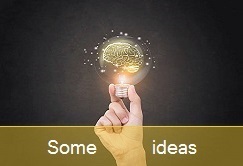 Successful trading strategies will be a combination of working ideas and experience, which will take time and effort. That's why we shouldn't give up on the first few changes (Boris Schlossberg). As a trader, I have experienced several things: If you focus on minimizing losses and manage to trade routinely, reducing the size of your positions, trading less and playing by the law of big numbers.... Then you will be on your way to consistent trading. You won't necessarily win by being the smartest, or having the best training or accumulating a lot of strategies. You will only get to win by being consistent (Rob Booker).